I had a look at windows mobile 7 phone and I was hooked at the user interface. Since then I was looking for something that could change my Galaxy 3 home screen to windows 7 tiled home screen. And then I found Launcher 7. It is more than decent at giving the feel of windows 7 user interface. It is still a long way ahead for this app. But it will not disappoint the user. It is a Windows Phone 7 style launcher for Android. Point your androids barcode reader to the code to get it. Both windows 7 and Snow Leopard have been on the board for quite some time and bow lets pitch them head to head and see if they are worth the upgrade. Both operating systems have improved the user experience, and which one you prefer is largely a matter of taste. There’s no doubt that Windows 7 is the prettiest Windows yet, but to our eyes Apple still has the more refined appearance while the redesigned Windows Taskbar is, well, a bit minging. Snow Leopard includes lots of welcome interface changes, including a context sensitive Services menu, a QuickTime interface that isn’t utterly hideous, a redesigned Exposé that’s now integrated into the Dock, scrollable Stacks and the latest Safari, which brings iTunes-style Cover Flow browsing to your favourite sites and browser history. Windows 7 gets Taskbar icon thumbnail previews and the fun Aero Shake, which enables you to hide everything but the current window by giving it a wiggle. Jump lists make Taskbar icons more useful, the streamlined Notification Area is considerably less annoying than before and you now get an OS X-style pop-up preview that enables you to listen to MP3s without opening Windows Media Player. In interface terms, then, Windows 7 is Vista with knobs on and Snow Leopard is Leopard given a bit of polish. The difference between Vista and Windows 7 is much more dramatic than the difference between Leopard and Snow Leopard, but both make your computer a nicer place to be. Both operating systems promise improved performance and smaller footprints, with Apple suggesting that you’ll free up 7GB of hard disk space by upgrading. Microsoft is rather coy on this one, but if we look at the recommended system requirements Windows 7 wants 16GB free disk space for 32-bit and 20GB for 64-bit. Snow Leopard wants 5GB. Windows and Snow Leopard have a number of performance features, but some of them are very hardware-dependent – so for example Snow Leopard’s hardware acceleration for QuickTime only works on Macs with an Nvidia 9400M graphics processor. Similarly OpenCL, which uses the graphics chip for additional processing muscle, only works on specific Nvidia and AMD graphics chips, while the 64-bit processing naturally requires a 64-bit processor. If you do have all the right bits you should notice a dramatic difference in system performance, but even if you don’t Snow Leopard boasts faster waking, a faster Finder, speedier Time Machine backup and Safari, which is positively rocket-powered compared to Windows’ Internet Explorer 8. However, to make all of this possible Apple has decided that it needs to make a sacrifice: Snow Leopard doesn’t support PowerPC Macs, so if you’ve got an ageing PowerBook kicking around you won’t be able to upgrade from Tiger or Leopard. Windows is noticeably quicker too. As we discovered when we benchmarked the RTM version Windows 7 is significantly quicker to boot, to sleep and wake, to shut down and to copy files than Vista, and it feels much snappier too. Like Snow Leopard it enables programs to take advantage of the graphics processor for additional horsepower, although like Snow Leopard you need specific hardware to get the benefit: in the case of Windows 7, that means DirectX 11-compatible graphics kit. Windows 7 has tweaked its multi-core support, although if you install the 32-bit version you won’t be able to take advantage of 64-bit processing. We’d recommend installing 64-bit Windows unless you’re running peripherals whose manufacturers can’t be bothered making 64-bit drivers; thankfully such firms are becoming increasingly rare. In both cases the real performance increases will turn up in the longer term, when application developers take advantage of OpenCL and Grand Central Dispatch in Snow Leopard and DirectX 11 in Windows 7. Rather bizarrely, Macs now support Microsoft Exchange by default while Windows doesn’t. But there’s more to Snow Leopard than support for Microsoft’s collaboration and communication system – which is just as well, given that few home users give a monkey’s about Exchange. iChat AV does a better job using less bandwidth than before, PDF handling has been improved to make selecting text in multi-column layouts much simpler, and networking has been cleverly tweaked so that a sleeping Mac will wake up when files need to be shared and nod off again when it’s no longer needed. The most dramatic new feature is QuickTime X, a major overhaul of Apple’s media player. It can use hardware acceleration for smoother playback, supports HTTP Live Streaming and provides easy video capture and uploading to YouTube or MobileMe. You also get iPhone 3GS-style video editing and a much less obtrusive interface. Windows 7 gets better multimedia too. Media Player supports more formats including H.264 video, and there’s a nice feature called Play To that enables you to send media to other devices such as the Xbox 360. Cleverly, Play To will convert media into formats that your chosen device can understand. Last but not least, Windows 7 gets Windows Touch, which supports iPhone-style multi-touch input (provided, of course, you have the hardware). OS X has touch support via laptop trackpads, of course. Windows Touch could be very important when you’re choosing your next PC, but it’s irrelevant at the moment for the majority of upgraders. On the face of it, Apple beats Microsoft in several key areas. The first is price – Snow Leopard is £25, while Windows 7 Home Premium is currently £64.98 at Amazon – and the second is ease of installation: while Windows 7 supports in-place upgrades that keep your files intact, XP users will need to do a clean install, as will anybody upgrading from a 32-bit Vista installation to a 64-bit Windows 7 one. Snow Leopard is designed to be an in-place upgrade, and there’s no version confusion either: Apple sells one version to Microsoft’s three retail editions. Microsoft could certainly learn some lessons from Apple in these areas – although Apple isn’t entirely angelic, as Tiger users can only get Snow Leopard if they also buy iLife and iWork in the £129 Mac Box Set. At least, that’s the official story. According to Walt Mossberg of the Wall Street Journal, “Apple concedes that the $29 (£25 in the UK) Snow Leopard upgrade will work properly on these Tiger-equipped Macs.” We’ll let you know what Apple says about that one. Overall, though, it’s impossible to say whether one operating system is better than another – we’re comparing apples and oranges here, no pun intended. As most of its key changes are under the hood Snow Leopard feels more like a service pack than a new OS, and it’ll be a while before its biggest changes – such as the new toys for software developers to play with – become obvious to the average punter. The price reflects that, and there’s enough tweakery and polish to ensure that no Intel Mac owner is going to regret spending their twenty-five quid. Windows 7 is a different beast, with some dramatic differences to Windows Vista. In many respects it feels like the operating system Vista promised to be, but there’s enough innovation here to make it more than just Windows Vista Fixed Edition. As with Snow Leopard, you’re not going to regret purchasing it – especially if you pre-order it right now before the prices go up on 1 September. So which is better? We think that’s the wrong question. Snow Leopard is better than Leopard, and Windows 7 is better than Windows Vista. If you aren’t planning to buy a new computer in the not too distant future, that’s all that matters: whichever platform you’re currently running, upgrading is well worth the money. 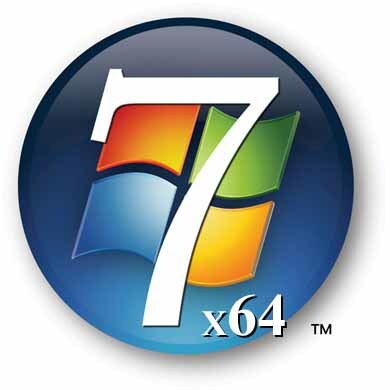 A security researcher has said there is a zero-day vulnerability affecting Windows 7 and Vista. The flaw in Windows 7 could allow an attack which would cause a critical system error, or “Blue Screen of Death”, according to researcher Laurent Gaffie. Gaffie wrote in his blog that the flaw lies in a Server Message Block 2 (SMB2) driver. “SRV2.SYS fails to handle malformed SMB headers for the NEGOTIATE PROTOCOL REQUEST functionality,” wrote Gaffie in a blog post on Monday. Gaffie said he had contacted Microsoft. Comments on his blog by other users said that the flaw could lead not only to denial of service, but could also lead to remote code execution. Computer security publication ‘The H’ wrote on Tuesday that its German sister publication had tested the proof-of-concept code, and that while the exploit had caused a reboot on Vista, the exploit had not worked on Windows 7. Metasploit creator HD Moore said in a tweet on Tuesday that an SMB bug appeared to have been introduced into Vista SP1. Coder Josh Goebel said in a blog post that he had added the exploit code to Metasploit. As Microsoft has given green light to the public downloads of Windows 7 Beta 1 Build 7000, millions of testers will be greeted by the new default wallpapers of the operating system, featuring none other than the Siamese fighting fish. 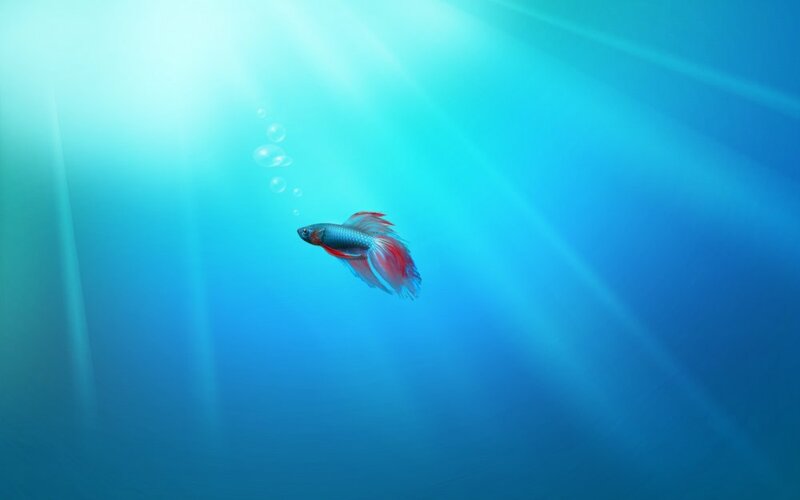 In fact, Windows 7 has been offering users a chance to have the creature, a member of the Betta splendens species, as their background since before Christmas 2008, when Build 7000 was initially leaked. Microsoft’s reason for choosing the Siamese fighting fish for Windows 7 was rather simple. The wallpaper is included only in the Beta version of Windows 7, and not in the previous three milestone developments, because this very popular freshwater fish is actually known as betta. There is no telling, at this point in time, whether the Redmond company will continue to feature the Windows 7 betta fish wallpaper into the operating system moving forward to the next development milestone, or if the specimen will end up out of water. Should users expect an RC (release candidate) fish next? Or maybe even a gold fish for the RTM (gold) edition of Windows 7? The betta fish featured in Windows 7 Beta on the default background is native of Thailand. 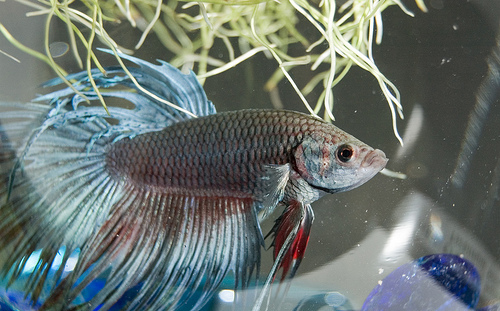 However, Microsoft has chosen a specific variety of betta. Fact is that the wild and “plain vanilla” bettas are not much to look at. Just brown with shades of green and with short fins, the natural betta fish would never have been chosen to complement the Windows 7 Beta 1 default wallpaper. Nevertheless, the process of selective breeding has produced Betta splendens fish with a wide range of colors, including the blue and red, as the specimen on the Windows 7 background. Fact is that, with the inclusion of the selectively bred betta in Windows 7 Beta, Microsoft is hinting that the previous Milestone releases of the platform were just the native versions of the fish. Yet, at the same time, Milestone 1, M2 and M3 of Windows 7 were much more Windows Vista than the next iteration of the Windows client. The inclusion of the betta fish in Windows 7 Betta is accompanying the evolution process from Vista to Win 7, as Microsoft is doing a tad of “selective breeding” of its own. Rearranging the Furniture. Unless you’ve seen it demonstrated, you may not know that the icons in the new taskbar aren’t fixed in-place. You can reorder them to suit your needs, whether they’re pinned shortcuts or running applications. What’s particularly nice is that once they’re reordered, you can start a new instance of any of the first five icons by pressing Win+1, Win+2, Win+3 etc. I love that I can quickly fire up a Notepad2 instance on my machine with a simple Win+5 keystroke, for instance.What’s less well-known is that you can similarly drag the system tray icons around to rearrange their order, or move them in and out of the hidden icon list. It’s an easy way to customize your system to show the things you want, where you want them. Installing from a USB Memory Stick. My wife has a Samsung NC10 netbook (very nice machine, by the way), and we wanted to install Windows 7 Beta on this machine to replace the pre-installed Windows XP environment. Like most netbook-class devices, this machine has no built-in media drive, and nor did I have an external USB DVD drive available to boot off. The solution: I took a spare 4GB USB 2.0 thumbdrive, reformatted it as FAT32, and simply copied the contents of the Windows 7 Beta ISO image to the memory stick using xcopy e:\ f:\ /e /f (where e: was the DVD drive and f: was the removable drive location). Not only was it easy to boot and install from the thumbdrive, it was also blindingly fast: quicker than the corresponding DVD install on my desktop machine.It’s also worth noting in passing that Windows 7 is far better suited to a netbook than any previous operating system: it has a much lighter hard drive and memory footprint than Windows Vista, while also being able to optimize for solid state drives (for example, it switches off disk defragmentation since random read access is as fast as sequential read access, and it handles file deletions differently to minimize wear on the solid state drive). It’s a Drag. Much play has been made of the Jump Lists feature in Windows 7, allowing applications like Windows Live Messenger to offer an easy task-based entry point. Jump lists replace the default right-click context menu in the new taskbar; another way to access them (particularly useful if you’re running Windows 7 on a one-button MacBook) is by left-clicking and dragging up in a kind of “swooshing” motion. This was designed for touch-enabled devices like the beautiful HP TouchSmart all-in-one PC, where the same gesture applies.Another place where you can “swoosh” (not an official Microsoft term) is the IE 8 address bar, where the downward drag gesture brings up an expanded list containing the browser history, favorites and similar entries. The slower you drag, the cooler the animation! The Widescreen Tip. Almost every display sold these days is widescreen, whether you’re buying a notebook computer or a monitor. While it might be great for watching DVDs, when you’re trying to get work done it can sometimes feel like you’re a little squeezed for vertical space.As a result, the first thing I do when I set up any new computer is to dock the taskbar to the left hand side of the screen. 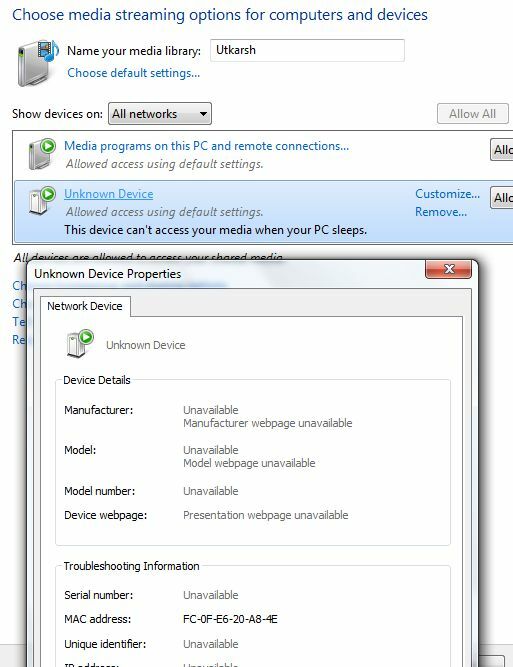 I can understand why we don’t set this by default – can you imagine the complaints from enterprise IT departments who have to retrain all their staff – but there’s no reason why you as a power user should have to suffer from default settings introduced when the average screen resolution was 800×600.